Spring is here and, along with it a new broom, brings more tax changes and tax saving opportunities for Expats. The UK and Cyprus have introduced more Tax affecting Saving and Property and Pensions for Expats in the UK and Cyprus. Meanwhile Property Transfer Tax remains discounted for 2016 offer large tax saving for expats with Cyprus property contracts of sale - but no title deeds yet. If a Cyprus Tax Resident, you can pay just 5% on this pension freedom lump sum. 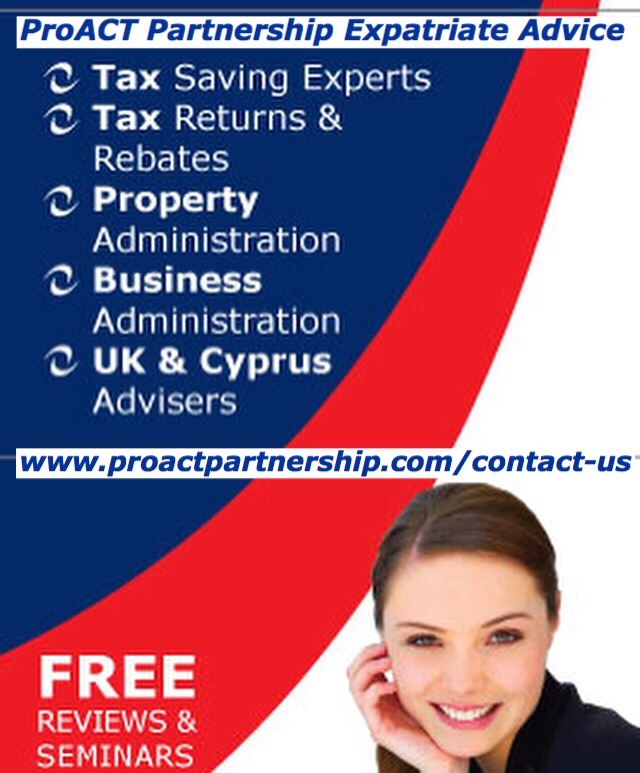 - a tax saving of 15-35% for Expats who register to pay Cyprus Tax. This is the case even if the whole fund is paid into a UK bank account. You can also reduce the tax payable by timing pension withdrawals over a period of time to maximise allowances. Full Cyprus tax returns are now due for 2015. With the reduction of Defence Savings Tax to 0% for Expats on Bank Interest and Dividends you can make a Tax Rebate claim for Savings tax paid at source in the UK and Cyprus in 2015. The Cyprus changes to Succession mean Expats must make written changes to their Will to avoid forced heirship and retain financial control of their affairs on first death. This can cost you - or - save you 40% UK Inheritance Tax. We value your feedback and questions. We are happy to help with a Free Review on the topic of your interest. If the article is helpful, please read more or share with a friend.